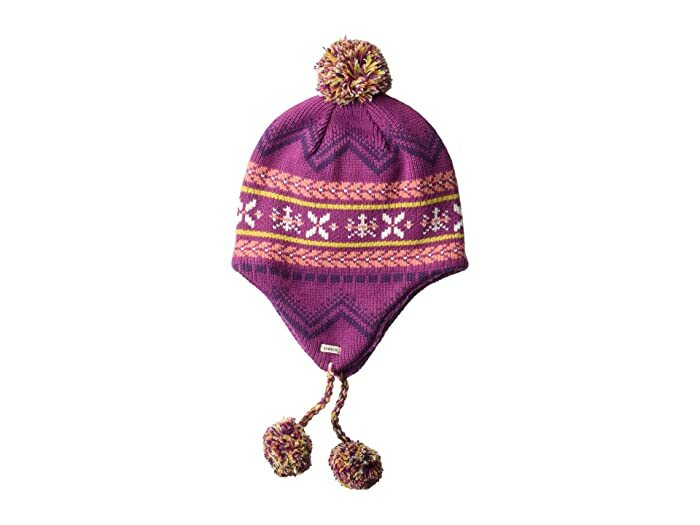 You've got a flair for winter style with the Burton® Cocoa Earflap Beanie! Full knit beanie with pom. Jacquard print for added style. Soft Lycra® pile sherpa fleece lining.